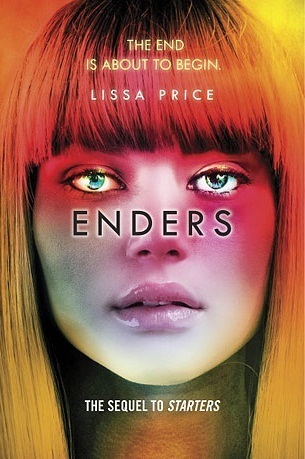 From Goodreads: With the Prime Destinations body bank destroyed, Callie no longer has to rent herself out to creepy Enders. But Enders can still get inside her mind and make her do things she doesn’t want to do. Like hurt someone she loves. Having the chip removed could save Callie’s life – but it could also silence the voice in her head that might belong to her father. Callie has flashes of her ex-renter Helena’s memories, too …and the Old Man is back, filling her with fear. Who is real and who is masquerading in a teen body? This is the thrilling sequel to Starters. This is a great read that went in directions I hadn’t even thought about. I really enjoyed it, and I highly suggest it to readers who enjoy sci-fi and dystopian novels, even if Starters wasn’t your favorite. It’s a fun ride. Four stars. Delacorte Press has been extremely gracious in allowing me to read an ARC of this novel, via Netgalley, prior to its widespread release on January 7, 2014.